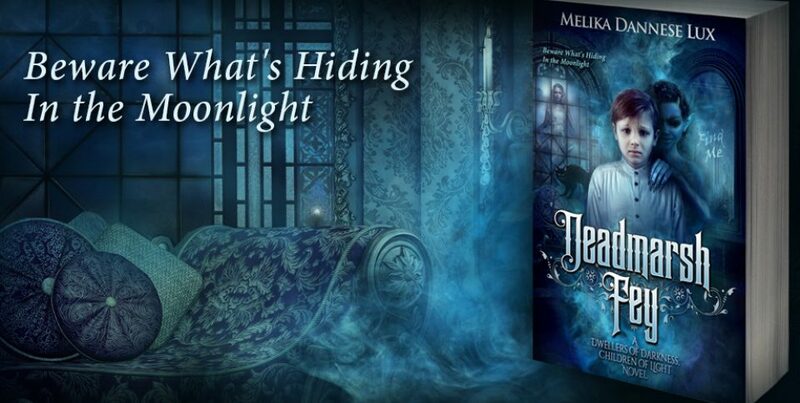 Clear your calendar and settle in, you are about to become part of an epic journey where nightmares become reality and reality isn’t quite as it seems in Melika Dannese Lux’s DEADMARSH FEY, an incredibly solid beginning to what appears to be a fabulous series! There is more story between the covers of this dark horror/fantasy than can be given justice in a review. Roger Knightley never understood the dark stories told of Deadmarsh. For the eleven-year-old, the mansion was a summertime delight, a place of adventure with his cousin, Lockie, so why should this year be any different? But it was, and it was the things nightmares are made of and the monsters sometimes hid in plain sight or worse, deep in the bowels of the earth under Deadmarsh. For Roger, it starts as another adventure, a mystery to solve, but what he discovers and the strange allies he makes will forever change his reality and the reality of those around him. Family secrets will be revealed, deceit will abound and an evil so terrible will overtake the very souls of those Roger cares about as the clock counts down to the very hour when the veils between worlds is at its thinnest and a deadly prophecy will be fulfilled. Melika Dannese Lux hasn’t given us a tale to read and let go of, she has created an atmosphere to breathe, a world to get lost in and characters that come alive, morphing and changing throughout! Brilliant writing holds those final truths just out of reach, because no one is who they seem at first glance and as the fantasy grows, it darkens and branches off down twisted tunnels into a labyrinth that will culminate in an incredible series of unveilings, battles and magical beings that defy our reality! Roger is “that” character who brings light to this tale with his youthful determination, his newfound allies and his belief in both himself and those around him. He is a youthful adventurer with a spine of steel in my book! Start to finish, there is not a wasted word or page, and yes, this is longer than many tales, so plan to be swept away from reality for a while. You may find yourself reluctant to return when all is said and done! This is a book to enjoy, not race through, the ideas are fabulous, and the execution by this author is near flawless with page after page of constant movement and detail as we sit front and center to one family’s many secrets!